When you are building or debegging circuits powered directly from the mains, it is very recommended to use an isolation transformer to protect your test equipment, such as oscilloscopes. You can buy one in many electronic stores, but if you want to save some money, you can build one using two identical transformers. This is how I built mine. I used 2 transformers which were not too expensive. I have included a switch, which is very useful. A reader kindly pointed out that I will never have 115 volt at the output due to transformer losses. Of course he is correct. However, this is not necessarily a problem. We can conclude that depending on the task at hand, one must make sure to use appropriately sized transformers to keep the losses at a level that is acceptable in the situation. If the transformers are overloaded, you will not only have a huge voltage drop, but transformer temperature will also be something to have an eye on. 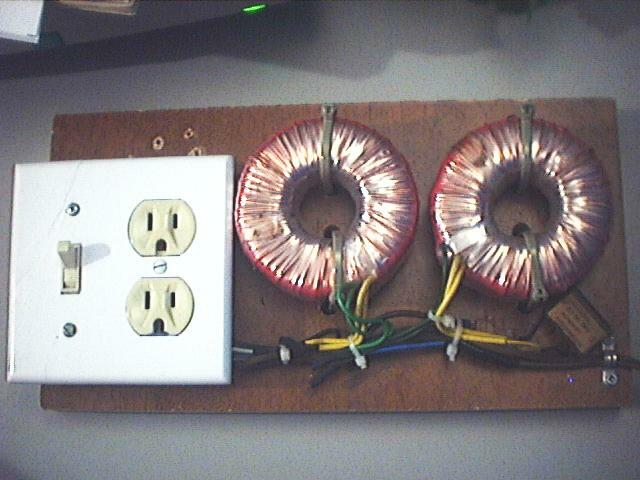 I will now introduce you to other tools I often use in conjonction with the isolation transformer. COM -----) ||      The output voltage rages from 0 to IN. 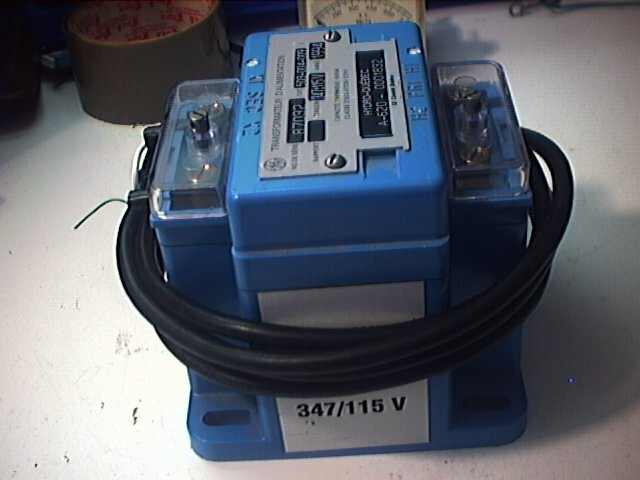 This is very useful to obtain any ac voltage instantly, instead of looking for a specific transformer. It can also be used to test power supplies, when you want to see how they react to voltage variations. Sometimes, a voltage higher than the mains voltage is needed. 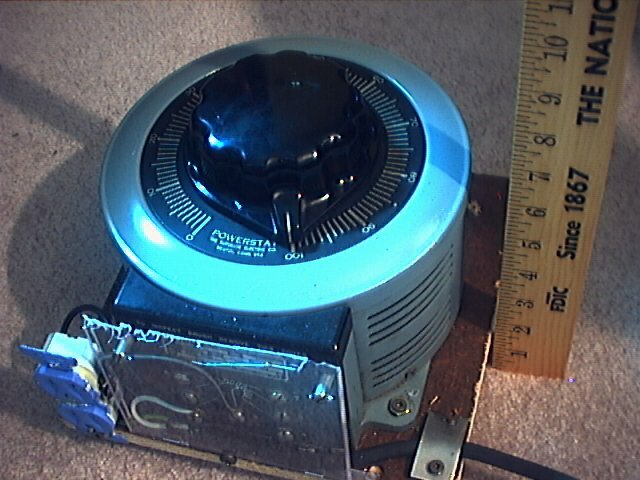 I use a auxilary transformer designed to step 347volts down to 115 volts. I just use the secondary as if it was the primary, and I obtain a 347 volts output. In combination with my variac, It can output any voltage between 0 and 347 volts. 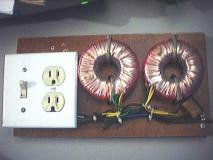 For safety in case of a short circuit, you can limit the current by powering the circuit in series with a bigger load. 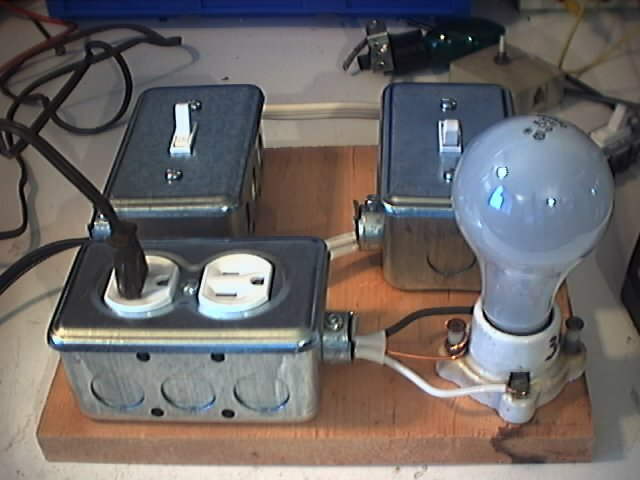 I use light bulbs, ranging from 10W to 150W, depending on the expected load. In some situation, I have used a 1500W toaster oven. I learned this trick by reading the sci.electronic.repair faq. Here is the exact page. On the picture, you can see what I use to power a devices in series with a load. The switch on the left is the master switch, the switch on the right selects between a series output or direct output. The left part of the plug is the output, and the right part is for using another device as load. The light bulb is in parallel with the left part of the plug.